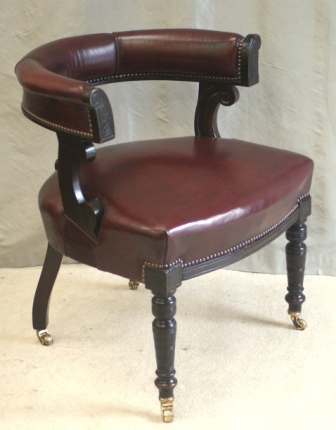 Superb Antique Victorian Mahogany Desk Chair. Freshly re-upholstered in fine oxblood colour hide. Close nail detailing, nicely turned front legs and carved end caps to the arms. Carved back splat and swept rear legs. New brass castors and wheels fitted.